Firefighters battle a blaze in Seal Beach, Calif., that killed one man and his dog on Saturday, April 30, 2016. 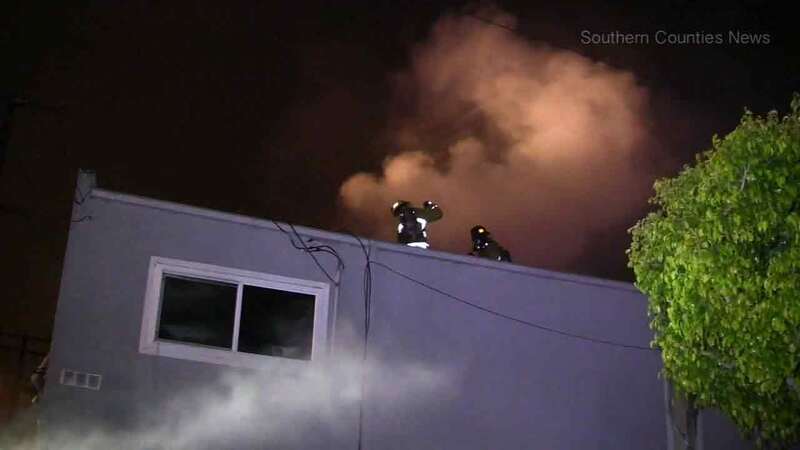 SEAL BEACH, Calif. (KABC) -- A $5,000 reward is being offered for information leading to the arrest of whoever killed a Seal Beach man and his dog in an April 30 fire. John Donnelly, 67, and his dog were found dead after a fire broke out in their home in the 200 block of 17th Street. Investigators found an incendiary device and said someone intentionally set the fire using combustibles found outside the home. Officials initially identified a 37-year-old homeless man as a person of interest in the case, and later questioned him but did not arrest him. The Seal Beach Police Foundation is contributing $3,000 to the reward and Donnelly's friends and family have donated $2,000.